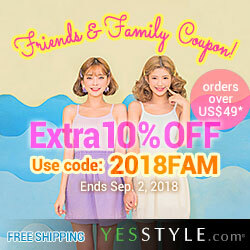 What products do you like that's hard to find locally? While many K-Beauty products are more easily accessible nowadays, once in a while I still come across a product that I like that's hard to find/get. 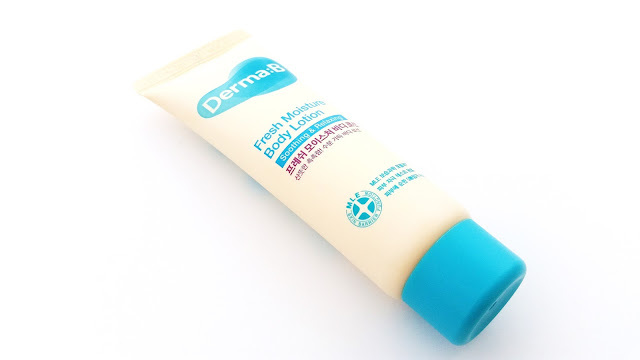 This Derma:B Fresh Moisture Body Lotion is one such product for me. I haven't seen any local shops (both online and offline) carry this body lotion. While ordering it through a shopping service might be possible, the shipping cost would not be very efficient as it would be fairly expensive to ship a few large bottles of body lotions overseas. I first discovered this body lotion years ago in 2 subscription boxes and fell in love with it. It's an herbal lotion that's great for sensitive and dry skin types. I've only been using this lotion for one thing and that is the dry patch on my leg. Yes, there's just one single patch on my left leg that gets super dry and sensitive as opposed to the rest of the leg. It's weird, I know, but it's what it is. The Derma:B lotion is one of the few lotions I've ever tried that can soothe the sensitivities, moisturize and nourish that patch of skin. Read on to learn more about it! 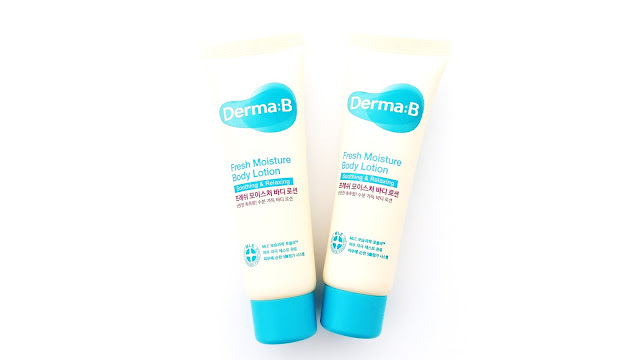 Product Description: The Derma:B Fresh Moisture Body Lotion is a moisturizing and nourishing lotion. It's formulated with a variety of herbal ingredients such as bergamot, ginger, tea tree, and peppermint. This body lotion is gentle and has a non-sticky formula. It is also very calming and it's great at soothing skin irritations. To Use: Apply the body lotion on clean skin or when the skin feels dry. 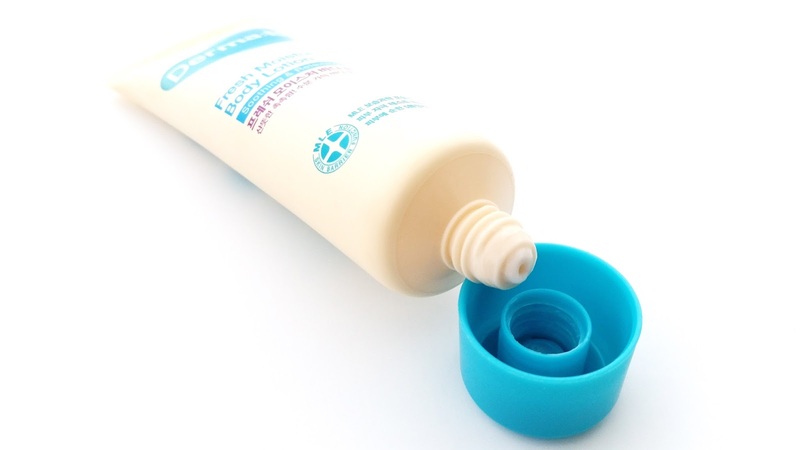 Packaging: The deluxe sample packaging of this body lotion is similar to that of a hand cream. It comes in the squeeze tube with a twist off lid. Inside, you'll find a seal (as seen in the picture above), that will keep the product fresh. The full size product comes in a giant bottle with a pump. Scent: The body lotion has a medium herbal scent. It might be a bit strong for some people, but I don't mind it. Color: This lotion is white in color. Texture: It has the same texture as most common body lotions. It's easy to apply and doesn't leave behind any residues. Michelle's Thoughts: I really like this lotion a lot and I wish it's available in local stores. As I mentioned earlier, I have thought about ordering it via a shopping service from overseas but the cost of shipping is not worth it. So, even though I love it I can't justify the shipping cost for it. Anyways, I mainly like this lotion a lot due to its soothing abilities. As I briefly explained earlier, one of my legs have that unique super dry and sensitive patch. I have a general lotion that I use on it everyday but when it gets super sensitive, most lotions aren't soothing or gentle enough to be used on it. 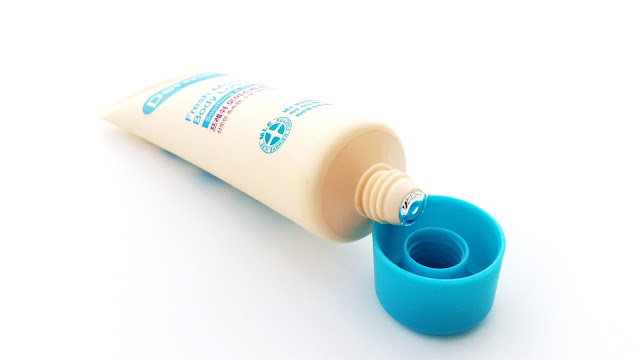 This Derma:B lotion is one of the few that I can use on that patch and keep it hydrated and soothed. This body lotion does have a medium herbal scent, which can be strong for some people. Personally, I don't mind it and it doesn't cause any issues for me. I also use this body lotion on other dry patches on my body. It helps to soothe those areas and add moisture to it. Since it has a light creamy texture, the body lotion won't feel too rich or oily on the skin. Making it great for day and night time uses. Final Thoughts: I feel like I've said it a million times by now, but I really like this body lotion and wish it's more accessible locally. If any of my favorite beauty shops are reading this, please stock it! I will be a very happy gal if you do. I know Olive Young sells this but I don't think they ship internationally. They really should though, because they carry quite a few products I really want to try. Would I repurchase this in the future? If a beauty shop locally stocks this or someone internationally sells this without a hefty shipping tag, I will definitely get it again. Do I think this is worth a try? Yes! If you have dry and sensitive patches on your body, you'll want to give this body lotion a try. It really works well at soothing sensitivities and moisturizing dry areas. Aww I remember when I got that in a memebox back in 2014! I didn't appreciate it back then haha! I got my first one from my Memebox too! It's a great lotion and I really wish a local shop would carry it.